Born to Love - Toddler and Boy's Hat Newsboy Cap Searching for a dapper look for your little man? 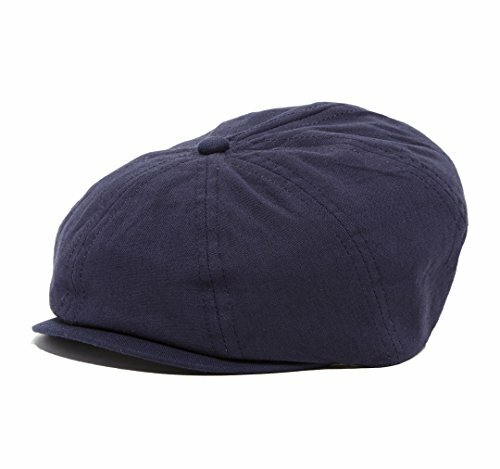 This Newsboy Hat is the perfect addition to your baby boy's wardrobe, guaranteed to turn heads and create compliments. Our newsboy cap is perfect as a stylish photo prop, as a gift, or to wear at weddings and special events . This simple stylish cap will complete your outfit. About Born to Love Clothing : When people ask, " What is Born to Love ?" we tell them that we specialize in baby and kids headwear since 2007.We design a variety of hats from fedoras, newsboy caps, ivy caps, driver caps, gatsby caps, golf caps ,cabbie caps, ring bearer, and page boy caps. These hats are great for everyday wear or to wear at special events like weddings , christening, baptism , birthdays and more. Our hats can be used to complete your birthday outfit, or as a great baby shower gift. Ourcollection of knitted beanies help your little one stay warm while looking cool. At Born to Love we focus on other things that go well with your hat : a great bow tie, suspenders and shirts. These are the things that make us Born To Love. Hope you enjoy the variety of sizes and styles. We have recently expanded our range of sizes and added more sizes to our baby fedoras, baseball caps, newsboy and driver caps. Make sure you check back often for more styles and colors by Born to Love Clothing.